Fall is officially here but put down that rake, leave the leaves, and join us for the October General Meeting of your Neighborhood Council. 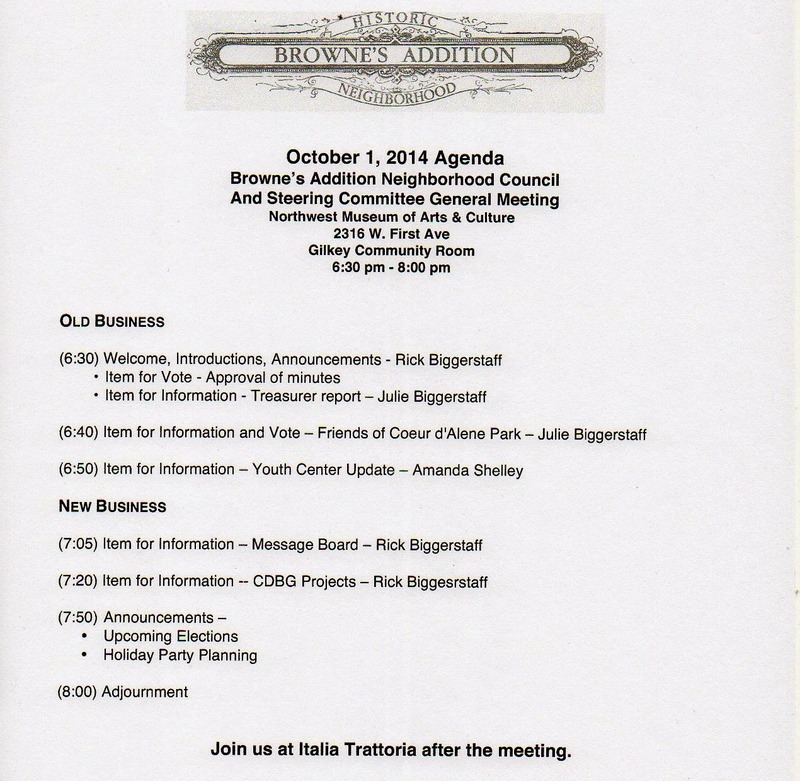 We meet on Wednesday, October 1st, at 6:30 pm in the Northwest Museum of Arts and Culture. What a great excuse to use for not getting that yard cleaned up! Your Neighborhood Council also wants to remind you that Elections for Council Officers is just a few months away. If you want to give something back to your neighborhood, consider a position on the Executive Committee.